BAGS! I think we can never have enough!!! 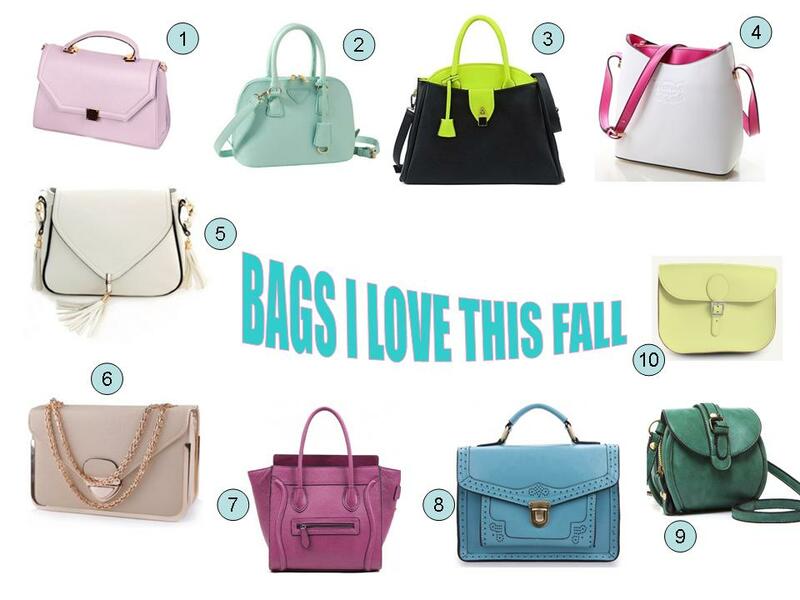 Different colours, different forms, different sizes, different occassions 😉 I must admit I am really bags-addicted and here are some of my fall favourites for you. I opted for candy colours to sweeten rainy & dull days! Enjoy & check them out sweeties. I ❤ bags LOL. THX!